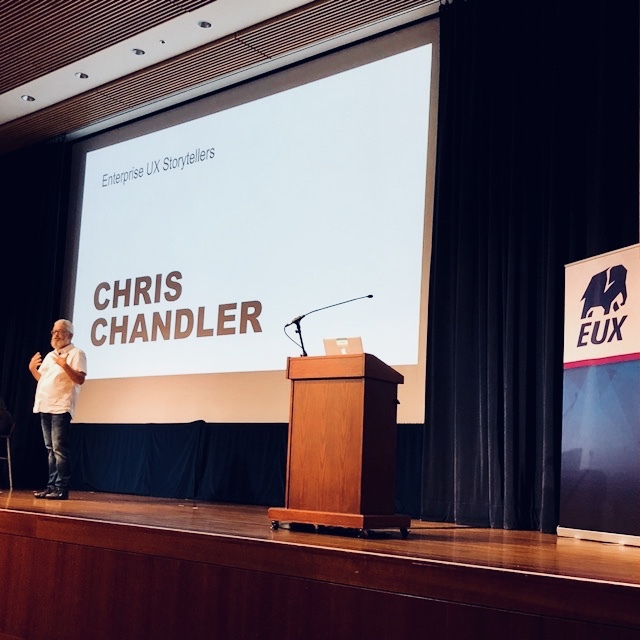 This is the 4th Annual Enterprise UX Conference run by Rosenfeld Media, which was held in San Francisco for the second time after being held in San Antonio, TX. 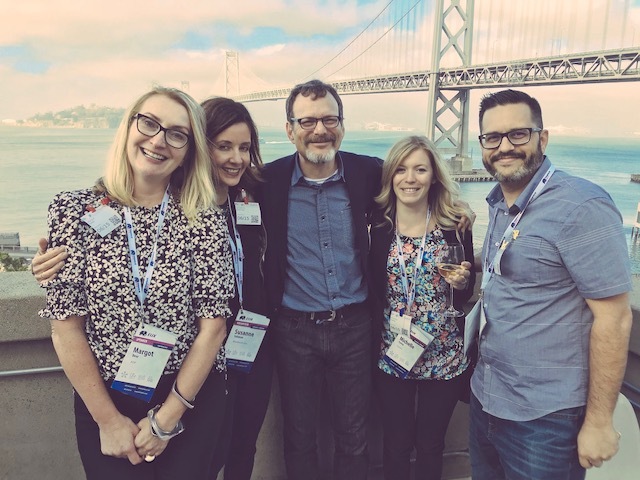 The event was moved to San Francisco to attract a larger crowd of UX professionals – both at the contributor and leadership levels. Rosenfeld Media has produced this event alongside three other organizers. The first day focused on all-day workshops. Day 1 and 2 of the conference was divided into four major themes where there were mini-conferences that consisted of one theme host and three speakers. Each track runs about 2 hours consisting of 3 x 30 minute talks and a 30 min Q&A. The morning of Day 1 had an opening keynote speaker and Day 2 a closing keynote. 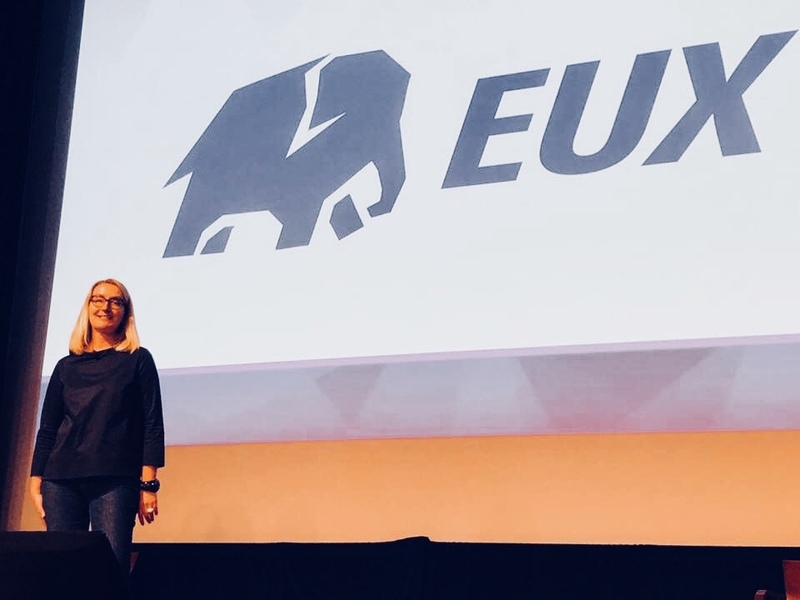 The Four themes for EUX2018 were: Build, Communicate, Invest and Scale. The Build theme focused on the ideating, sketching, modeling, and prototyping necessary to develop effective and flexible enterprise processes, products, and strategies. Communicate discussed how to make others understand and appreciate the values of UX, how to convey user insights, and how to find a common language with our non-UX partners within enterprise. The Invest theme explored an understanding of context across functional teams to create strong partnerships, how to build and to support effective teams, and to make sure that our teams are developing the skills that will make them successful in the future. Finally, the theme Scale was focused on the scalability challenges we have ranging from limited resources to scaling up design capacity, managing distributed teams, or understanding customer journeys in overwhelmingly complex environments. There was a lot of engaging information shared over the course of the two day conference – ranging from the presentations from the two keynote speakers and the 12 x 30 min talks to all the hallway conversations and discussions I had over Twitter with others. Some of the speakers talked specifically about projects and learnings from their current or previous positions in enterprise organizations. This was my first EUX where I was an active participant in organizing the event and participating in the happy hour activities like Battle Deck. This was an excellent conference for both content and networking. There were excellent opportunities during the conference (breakfast, breaks, lunch, etc.) for networking. There was a job-board where people could post calls for hiring and a conference Slack channel. There will be a post-conference content follow up. For someone who works specifically in the enterprise space and has been doing so for over 15+ years, it is great to see a conference focus on these issues and how UX professionals can share their ideas and issues with their peers.